Did you have a date on 22nd April, Wednesday, with Planet Earth? I am sure you have, for the sake of our very own Planet Earth. It was Earth Day and a very important day for the modern civilization. So important, that the very survival of the planet depends on it. How did the World Earth Day come about? World Earth Day is celebrated annually to enhance the environmental safety awareness and underline the importance of environmental protection measures. It was celebrated for the first time in 1970 and is today celebrated across 140+ countries. John McConnell of San Francisco was an active environmentalist and had a futuristic vision. He actively took part in environmental movements at the time and proposed to have a remembrance day for environmental safety. He chose to celebrate the same on the spring equinox (21st March, 1970). However, another environmentalist and the then US Senator for Wisconsin, Gaylord Nelson chose to celebrate the same on 22nd April, 1970. After a long outreach, it was decided that the event would be celebrated on both days for that year. The underlying reason for such Earth Day celebration was the 1969 Santa Barbara oil spill which resulted in massive pollution killing marine and plant life. The first ever Earth Day celebrations saw many college groups involving themselves to protest against the oils spill, toxic dumps, water and air pollution, use of pesticides, raw sewage, industrialization and many other issues. Come 1990, Denis Hayes, the coordinator for Earth Day events decided to celebrate the Earth Day only on 22nd April every year and he proposed that a whole week of celebrations be underatken, calling it the Earth Week. So, a complete week is celebrated by addressing environmental issues wherein the campaign normally begins with planting new trees. Earth Day is celebrated to remind the mankind of preserving natural resources which are being used commercially without a concern for the environment and the critical life balance that rules the planet. The results are acid rains and global warming which is already a threat to the environment. Reducing pollution, planting new trees, limiting deforestation, reducing energy consumption and having a smaller carbon foot print for individuals as well as businesses are the main objective of celebrating Earth Day. Planting new trees wherever required. Outdoor activities with family such as emptying the garbage on the street or building the dog house or identifying their role in the biological cycle. Illuminate others and discourage them from using plastic to reduce soil and water pollution. Teaching neighborhood kids about recycling. Participate in cleaning up activities. Taking part in discussions, and knowledge-gathering sessions that include seminars and activities which relate to environmental safety or conservation. Motivate others by wearing earth, vegetation or sky (brown, green or blue] colored clothes. Getting the message to others that every day is Earth Day and the care towards environment should be practiced daily and not annually. And this year, 2015, it would be “Water Wonderful World”. 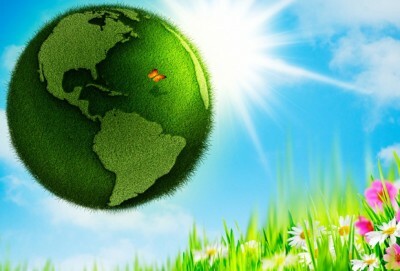 Every year, the Earth Day is celebrated by almost everyone across the planet. A typical Earth Day celebration involves colleges and environmental organizations protesting and discussing issues of pollution control, planned industrialization, dealing with toxic wastes, ozone layer deterioration, controlling polluting businesses and many more. The major chunks of people are from colleges and people who like to create awareness on such issues. The result of such celebrations is positive and as a result, many governments and groups have actually taken steps to curb pollution and improve the environment. The inspiration taken from Earth Day is very positive across all 141+ participating countries and this has resulted in concrete steps to curb global warming. In 2015 Earth Day has been organised by various groups and businesses in various countries. On the 45th anniversary of Earth Day, the agenda is to get economic growth to join hands with sustainability. And, there is ample chance and hope that the world leaders will unite for mother earth and pass the climate change treaty that would be binding on all participating countries. On this Earth day, let us all unite and take a stand – “We shall divest from using fossil fuels and spend our hard earned money on renewable energy solutions, environmentally friendly gadgets and finally take a step towards ridding the planet of unwanted waste, toxins and pollution”. Are all of you with us? Let us all unite and show the world that we stand against pollution and mindless destruction of the environment and are committed to create a cleaner and ecologically balanced planet, together. By the way, we are inviting all to send in their posts ([email protected]) related to Earth Day, we would be glad to publish them.